London : A large section of the population in Britain 43 per cent is living with chronic pain, a major cause of disability and distress, says a new study based on an analysis of the available evidence. The number of affected population roughly 28 million adults based population statistics for 2013 is likely to rise as the population ages, the researchers warned. Women were more likely than men to be affected by chronic pain, irrespective of age or pain type, the findings showed. For the study, Alan Fayaz from Imperial College London, and colleagues trawled relevant databases to find research on different types of pain, published after 1990. Their search included studies on population based estimates of chronic pain defined as lasting more than three months chronic widespread pain, fibromyalgia (a rheumatic condition characterised by muscular or musculoskeletal pain), and chronic neuropathic pain (caused by nerve signalling problems). From among 1,737 relevant articles, 19 studies, involving just under 140,000 adults, were deemed suitable for inclusion in the final analysis. Their analysis showed that 43 per cent of the population experience chronic pain, and 14 per cent of adults live with chronic widespread pain. The summarised data also showed that eight per cent of adults in Britain experience chronic neuropathic pain, and 5.5 per cent live with fibromyalgia, a long-term condition that causes simultaneous pain in many different parts of the body. Unsurprisingly, the researchers found that older people were more likely to live with pain over the long term. Among 18-25 year olds, the prevalence was 14 per cent, although it may be as high as 30 per cent among 18-39 year olds a sizeable chunk of the working population, the researchers said. Among those aged 75 and above, the prevalence was almost two thirds (62 per cent). 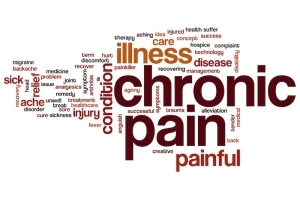 The findings, published in the online journal BMJ Open, suggest that if current trends continue, the burden of chronic pain may increase further still as the population ages.